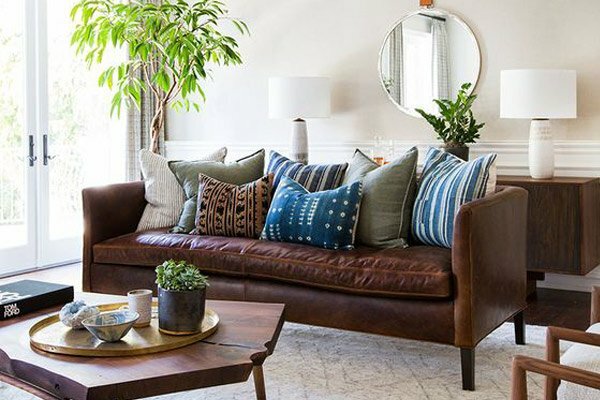 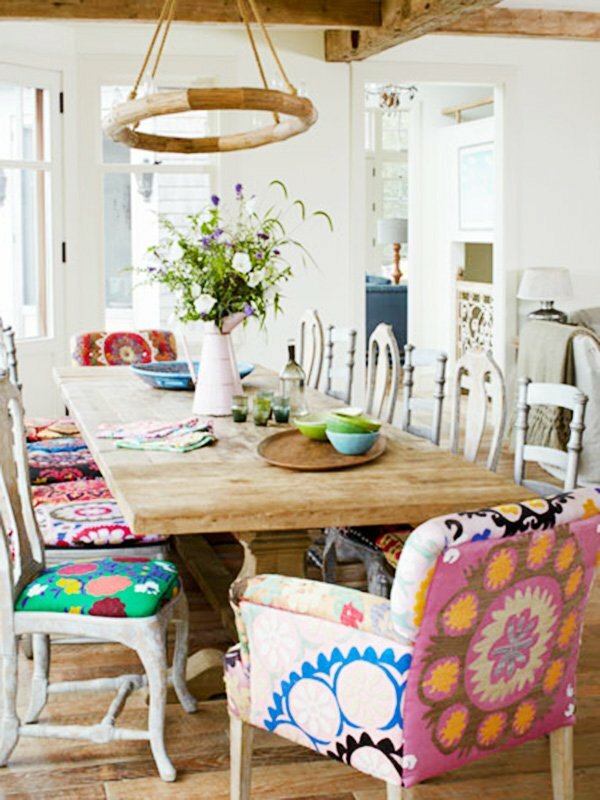 If you are a fan of energetic, dynamic, and fun style when it comes to home decor, you should most certainly try this idea in the dining room as well, where you gather with your friends and family and other loved ones, and turn the space into an amazingly vibrant, and elegant place. 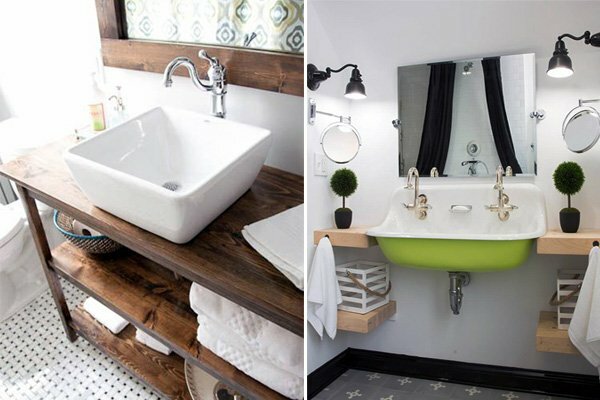 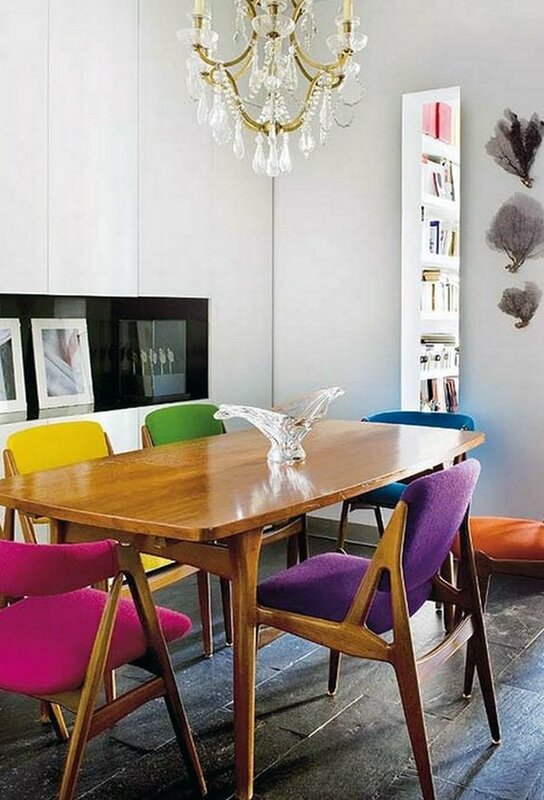 Plus, this is a great way to keep up with the trends, and get rid of the dullness of traditional looks. 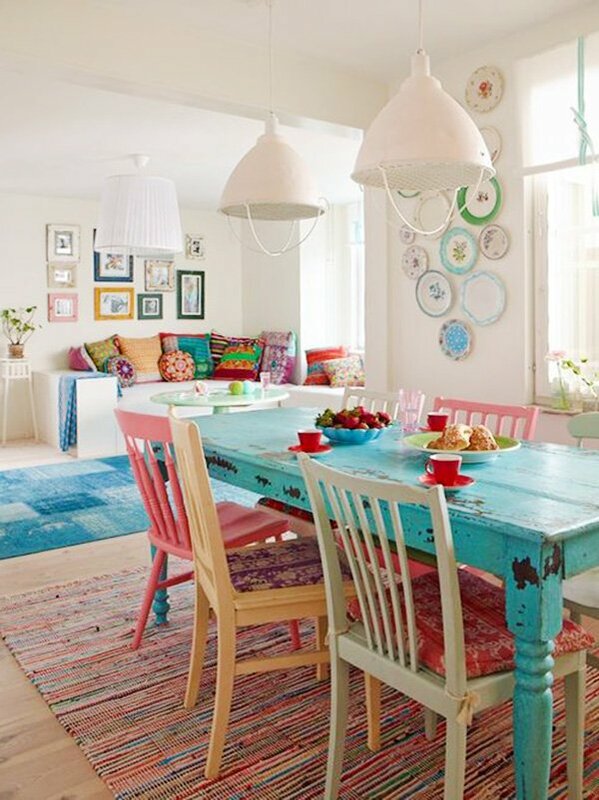 There is nothing more energizing than a colorful atmosphere, and filling your belly, obviously. 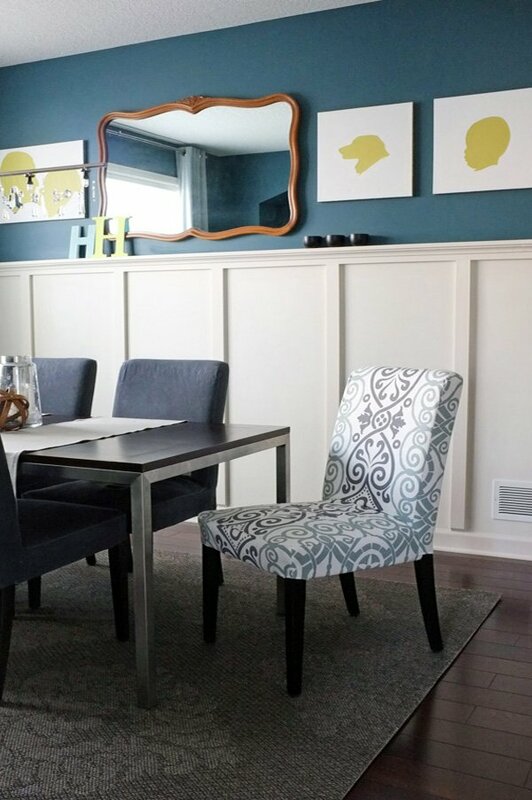 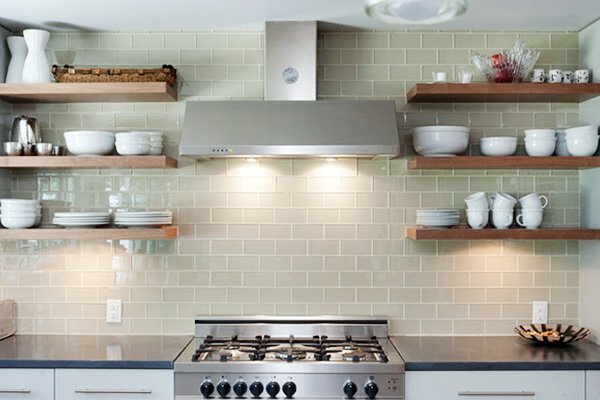 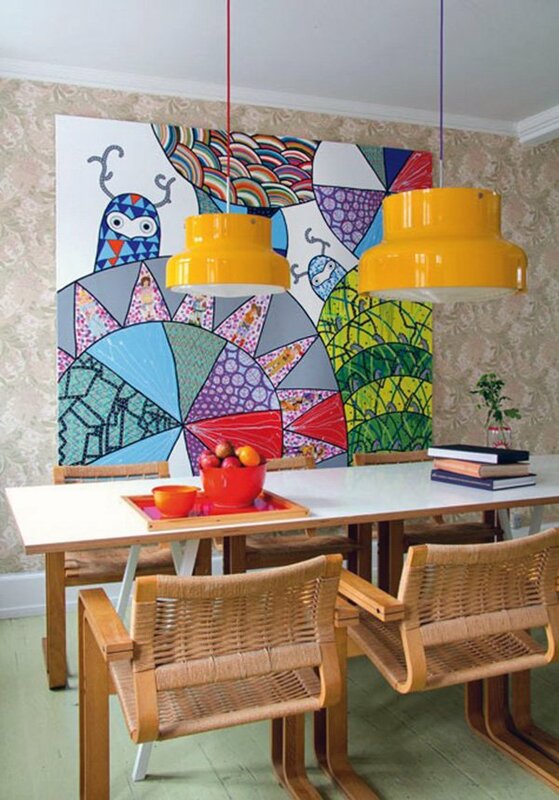 Using vibrant wall paint colors, or patterned, dynamic wallpapers, plus colorful table and chairs, and accessories, you can achieve such a result in your dining room. 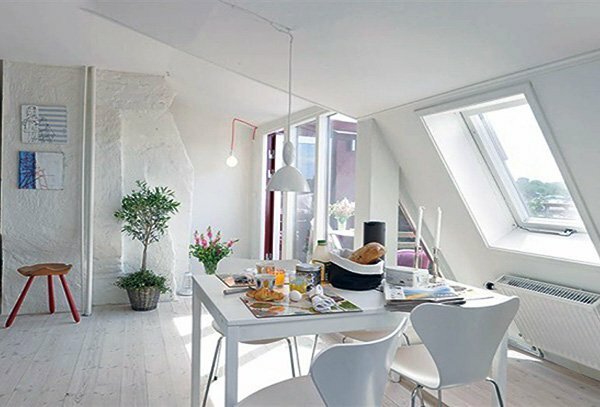 Remember to balance it out, though! 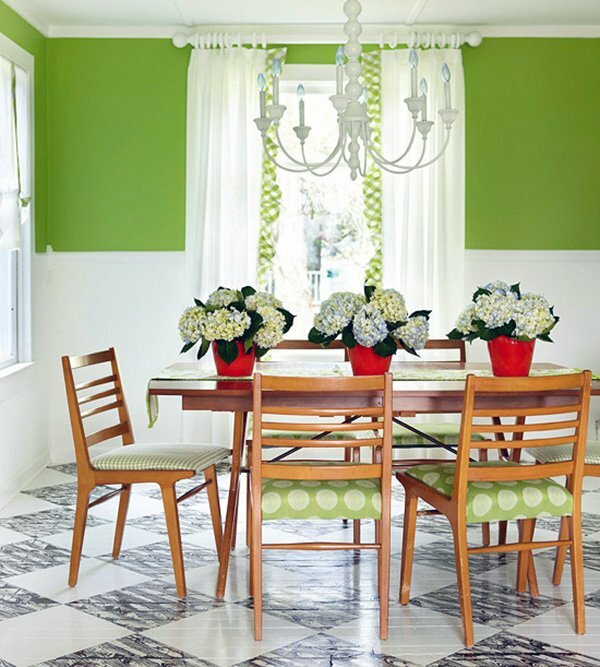 If you want to keep things subtle, opt for colorful accents in a white dining room, and transfer the energy in a more soothing and minimalist way. 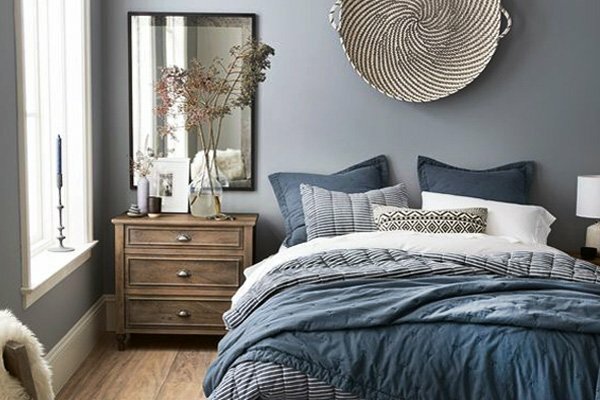 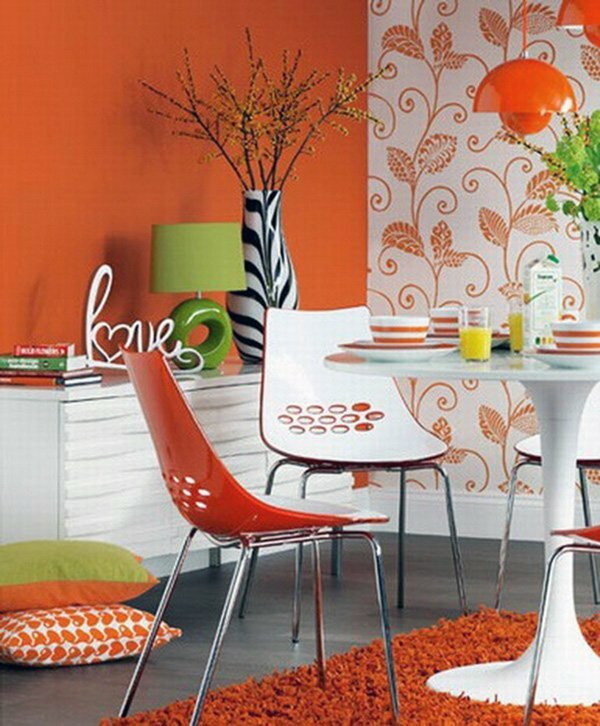 You can use colorful rugs, carpets, accessories, and such with white wall paint and white or soft-colored overall style. 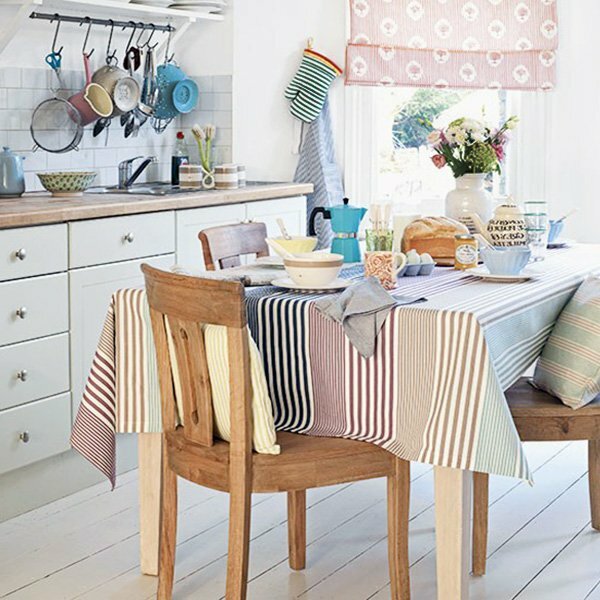 There is nothing more stylish than the simplicity of pastel colors. 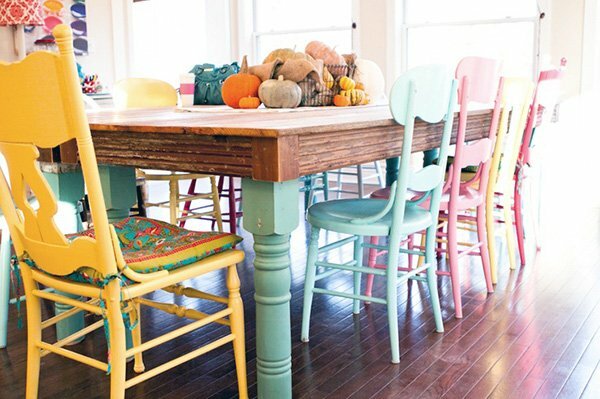 Create an uplifting and cozy atmosphere in your dining room by using pastel blue, pink, green, and yellow. 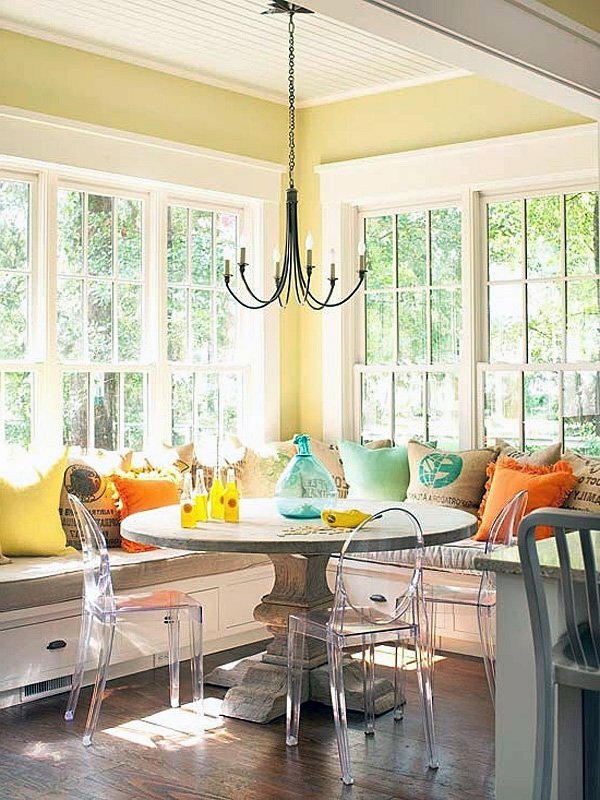 Cheerful and simple! 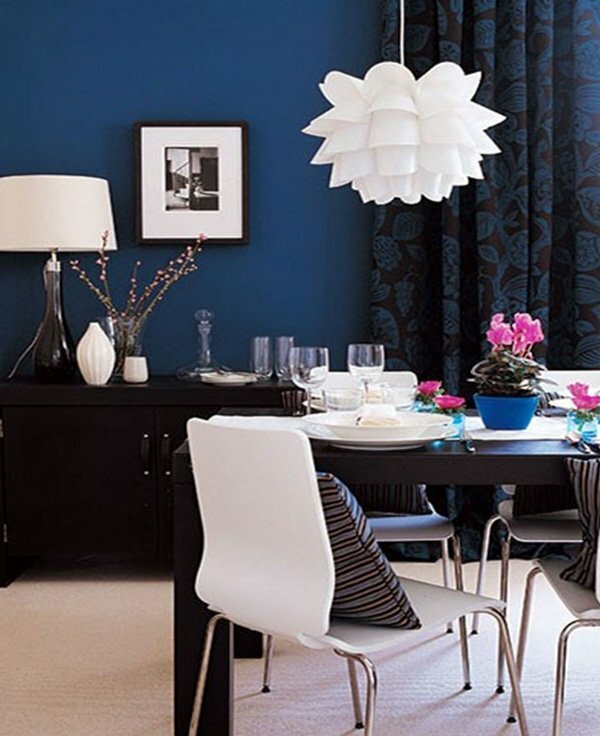 You can add some drama in your dining room by opting for darker shades of vibrant colors, thus create a graceful environment. 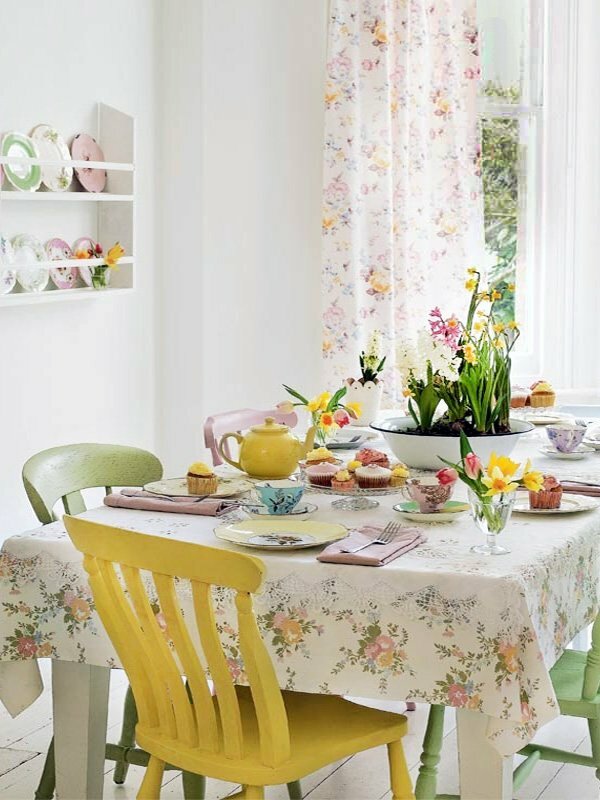 If you host dinner parties very often, this idea is more like you. 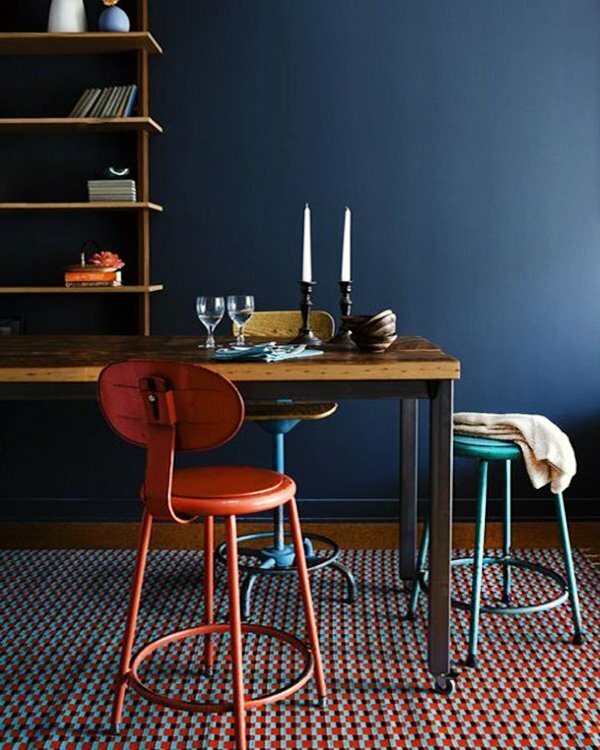 You can make use of a traditional approach with modern touches, and use darker shades of red, green, yellow and blue, and create an amazingly elegant dining room. 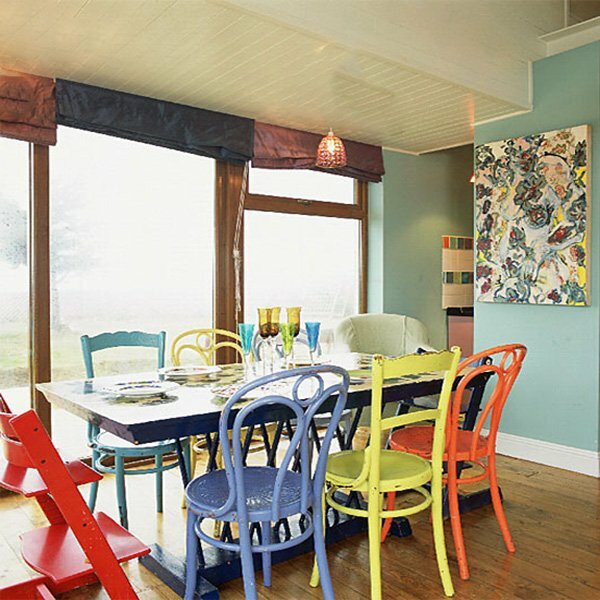 Looking for ideas to turn your dining room into a dynamic and bold space? 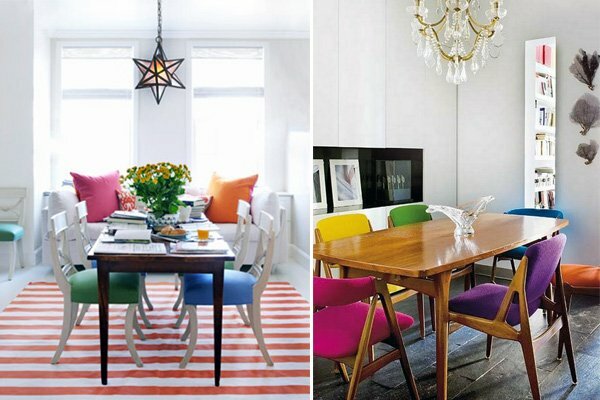 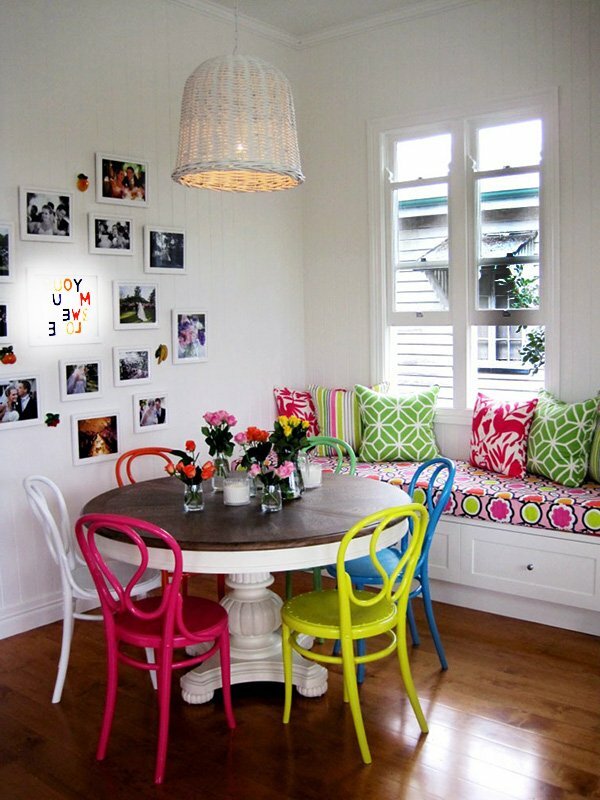 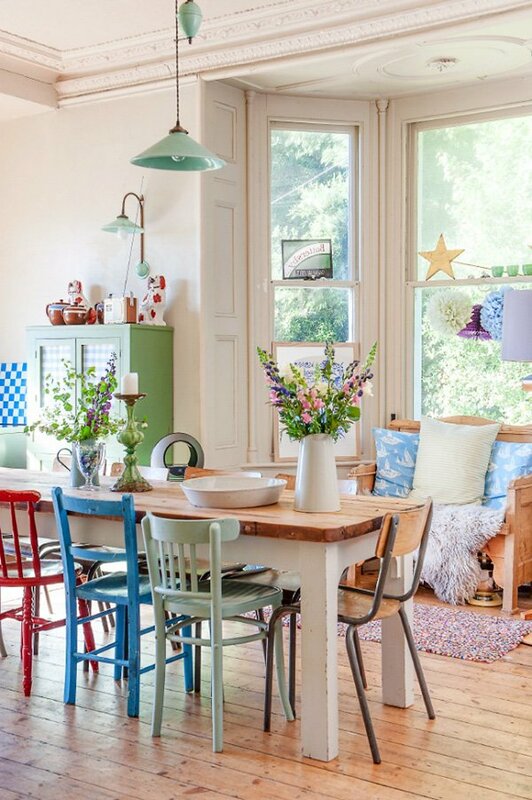 Take a look at these various colorful dining room designs for some inspiration!